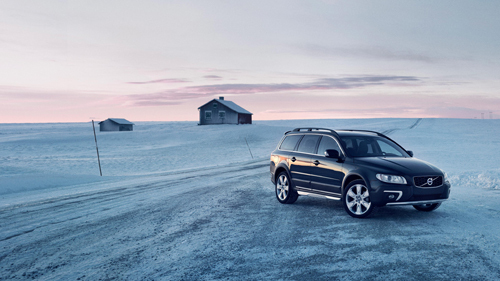 2015 – Volvo XC70 at Flatruetvägen in Härjedalen, Sweden. 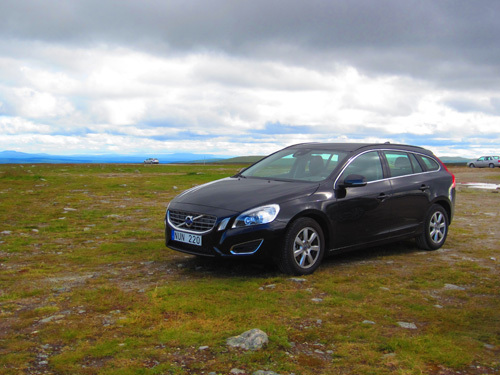 Flatruetvägen is a road across the mountain Flatruet in Härjedalen, reaching a high of 975 meters above sea level and is thus Sweden’s highest public road. Flatruet road is a dusty gravel road. Flatruetvägen, connecting Funäsdalen in the south with Ljungdalen in the north, was inaugurated July 31, 1938. 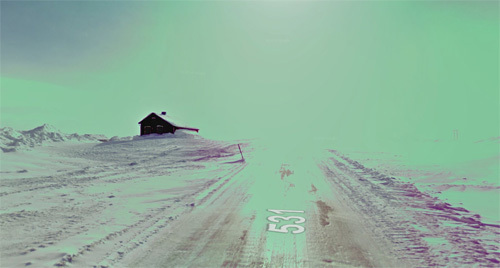 The road is signposted with the number 531. 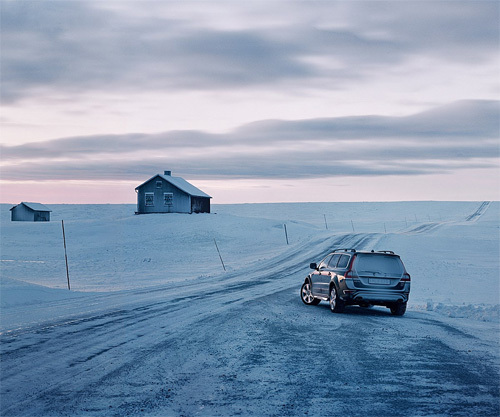 The road is often closed at night or in bad weather, and the road is given unobstructed views of the mountains, especially north towards Helagsfjällen. Flatruet is a fell in north western Härjedalen, Sweden, between Mittådalen in Härjedalens kommun and Ljungdalen. Flatruet comprises many ravines dating back to the end of the ice age. The ravines were formed when the ice lake in the Messlingen valley area burst and rushed down into the valley below. The majority of the ravines reside on the south side of Flatruet. Evagraven is probably the most famous ravine of Flatruet and is located 2 kilometers west of Ruänden’s rock art. An old swedish legend says that a lady named Eva died in the ravine during a snowstorm, which is how the ravine got its name. Evagraven is so deep that the snow on the ravine’s floor doesnt melt, even in the summer. Fiskhålsgraven is located 2 kilometers west of Evagraven. Fiskhålsgraven translates to “fish hole ravine” because at the small tarn at the end of the ravine, rare and protected dwarf char reside. The only other place in the world where the dwarf char can be found is in a small tarn in a ravine on the Blåstöten mountain. Ruänden which is a part of Flatruet is one of Swedens largest areas with rock art. The rock art at Ruänden consists of about twenty figures looking like humans, bears, moose and a reindeer. The rock art was first reported n 1896 and have been dated to 4000 years ago. 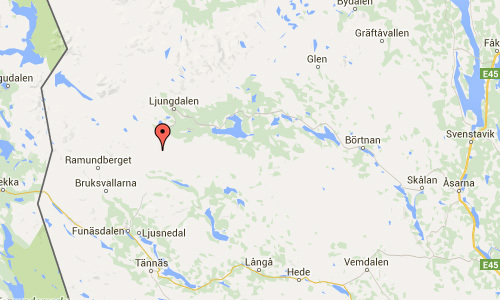 Härjedalen is a historical province or landskap in the centre of Sweden. 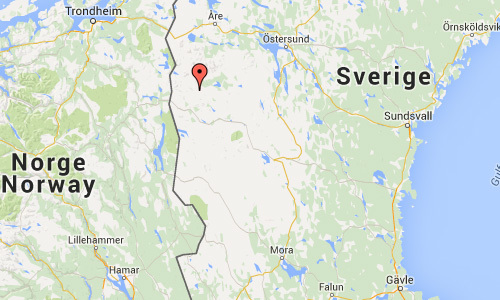 It borders the country of Norway as well as the provinces of Dalarna, Hälsingland, Medelpad, and Jämtland. The province originally belonged to Norway, but was ceded to Sweden in the Treaty of Brömsebro, 1645. 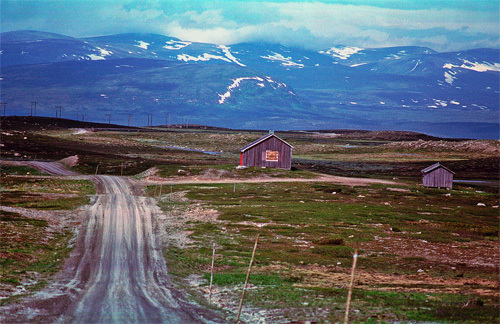 Jämtland and Härjedalen were originally provinces of Norway. Härjedalen came under the Norwegian king ca. 1100. After the Treaty of Brömsebro in 1645, Härjedalen, along with Jämtland, were ceded to Sweden. They were commonly spelled Herjedalen and Jemtland until 1660. 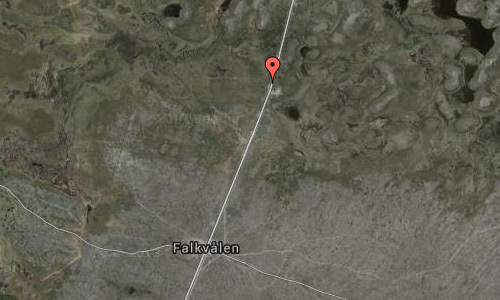 The first population of Härjedalen is estimated to have migrated here some 9,000 years ago. The population lived from hunting and fishing, close to the inland ice which by then had started to melt. Ruändan, in the Flatruet mountains in northwestern Härjedalen, is the location of a large site of rock paintings. The rock paintings at Ruändan consists of some twenty figures depicting people, bear, moose and reindeer. The rock paintings was first reported in 1896 and are estimated to be over 4000 years old. According to one legend, Härjedalen is named after a powerful Norseman who had to flee east from the Norwegian court of king Halfdan Svarte after killing one of the king’s men with a horn. Thereafter he was known as Härjulf Hornbrytare (lit. “Härjulf the Hornbreaker”). For a time he entered the service of the Svea King Anund, until he eloped with that king’s sister, Helga, and together they disappeared into the remote location in the region eventually named after him. Today a statue stands dedicated to them in the village of Lillhärdal. Härjulf and Helga were the foreparents to the Icelander, Bjarni Herjólfsson, who was the first Norseman to see the “new world” when he was blown off-course whilst on a voyage to Greenland. His boat is the one Leif Eriksson acquired about 15 years later for Leif’s famed landing on Vineland. The name Härjedalen, from Old West Norse Herjárdalr, literally means the “Valley of the Härje river”. A Latinized transliteration is Herdalia, although that name is hardly encountered in the English language today. More prominent are derivations such as Herjedalen or Haerjedalen. The more prosaic explanation of the name says that the word her or har just means “mound of stones” and refers to stones in the river Härjån. More information at sv.wikipedia.org, Felix Odell, www.funasfjallen.se and www.funasfjallen.se.